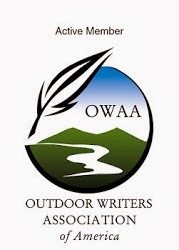 Now that the season is waning and I'm sitting around waiting for the weather and the rivers to clear I was going to review some of the equipment I bought and used this year. I've got some keepers and a few duds. 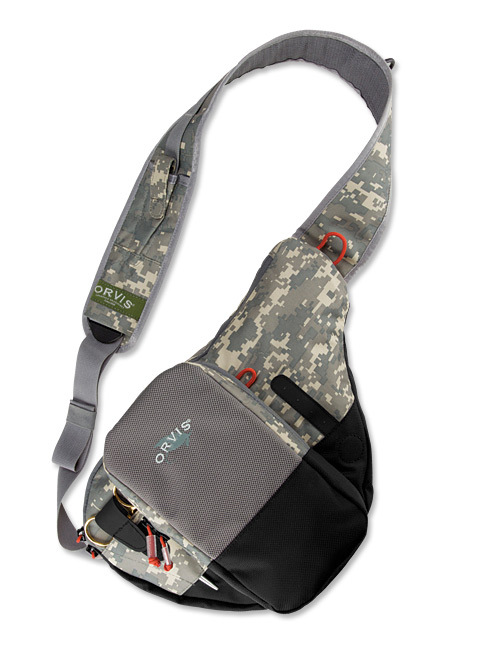 One of the things I'll get around to reviewing in a week or so is Orvis' sling pack. I think it's a winner in most categories save one -- color. That blue is just ugly (IMHO). Now I find out that the cool kids at Orvis have come out with a new version of the sling pack in Digital Camo. I must have one. Look for a slightly used Sling Pack to go on sale shortly. Orvis and Camo....just doesn't sound right, but it does look like a cool bug pack. Yeah, I think I like this even more cause it's so out of character for Orvis. I'll make you an offer for the blue one. I think it's rather bonnie. Looks like a nice little pack...I've been looking for something similar. Might have to give this one a shot. E.J. : I'll let you know as soon as the new pack arrives. Sanders: It's small but does the trick. The only thing I'd like it to have is an easy way to attach a water bottle -- I use a S-Biner on one of the loops. Ben B: I don't know who she is either, but Jonny is sorta eccentric so I let it pass. After listening to fishermen rave about the things (and not really believing them), I finally tumbled for a Patagonia sling pack, and plan to give it a try this year. Mine isn't digital camo, but then, I sometimes wear a camo boonie hat (it screams "I'm potentially psychotic"), so I'll go with standard blue. TC: I've been pleasantly surprised with the Sling Pack. It took me a while to finally make the purchase and I initially thought it would be too small but it's worked like a charm. Camo Boonie. I'll have to give that a try. The loons, Henry, the loons.